Honorary Consultant, University College London Hospitals (UCLH) NHS Foundation Trust & the Institute of Sport, Exercise & Health (ISEH). Consultant in Sport & Exercise Medicine, The Wellington Hospital; The Princess Grace Hospital; Pure Sports Medicine Clinic. Honorary Physician, British Association of Performing Arts Medicine (BAPAM). Sports Physician, English Institute of Sport (EIS), 2011-2015. Team Physician, British Fencing, 2011-2015. Team Physician, British Canoe Slalom, 2013-2015. Chief Medical Officer (CMO), British Wheelchair Tennis, 2013-15. Medical Officer, Abu Dhabi International Triathlon Event Medical Team, 2010-14. Medical Officer, Wembley Stadium Event Medical Team, 2007-09. Sports Physician, London 2012 Olympic & Paralympic Games, 2012. 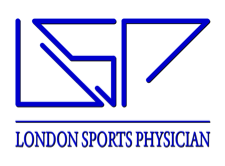 Specialist Registrar (SpR), London Deanery Sport & Exercise Medicine training rotation, 2007-2012. Examiner, FSEM(UK) Membership in Sport & Exercise Medicine- MFSEM(UK). Examiner, FSEM(UK) Faculty Diploma in Sport & Exercise Medicine- DSEM(UK&I), 2009-2017. Examiner, University of Bath Diploma in Sport & Exercise Medicine. Examiner, University College London (UCL) MSc in Sports Medicine, Exercise & Health. Examiner, Queen Mary University London (QMUL) Medical School Undergraduate Examinations. Lecturer, Queen Mary University London (QMUL) intercalated BSc in Sport & Exercise Medicine.